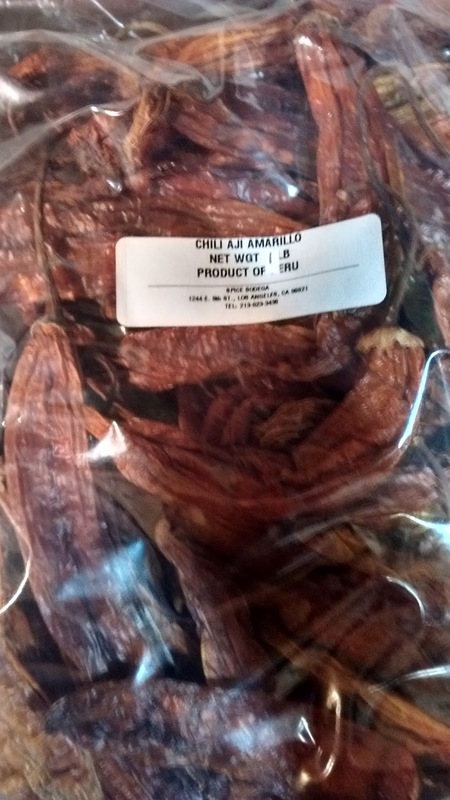 Your Author, ever on the hunt for only the most authentic ingredients, while sojourning in the darkest part of Los Angeles, spied a new wholesale spice shop specializing in chiles (mistranslated and thus misspelled chili) from across the globe. I post this pix of the exotic Peruvian ají amarillo. I paid but $6 for a whole pound. This is the Los Angeles wholesale produce district. Pollo a la Brasa, here we come!